As an individual, as a group or as part of a network, you can make a huge difference to our work by choosing to support Stonewall in your workplace. Fundraising is a great way to engage your lesbian, gay, bisexual and trans staff and demonstrate how your organisation is committed to supporting and improving the lives of LGBT people. There are lots of ways that you can get involved in supporting Stonewall throughout the year. Whether it’s getting a group together to take part in a sponsored run or challenge, holding a skills swap raffle in your office, or choosing us as your Charity of the Year. Benefit nights - Nominate Stonewall as the charity partner for work events, such as your summer ball or Christmas party. More ideas and tips are available in the Fundraising Pack at the bottom of this page. Whatever you have planned we can help by supplying information and resources to help your event make even more of an impact. Pick a challenge that staff can get involved in. Choose anything you like - a triathlon, marathon, parachute jump - they can all act as a bonding experience as well as a great fundraiser! 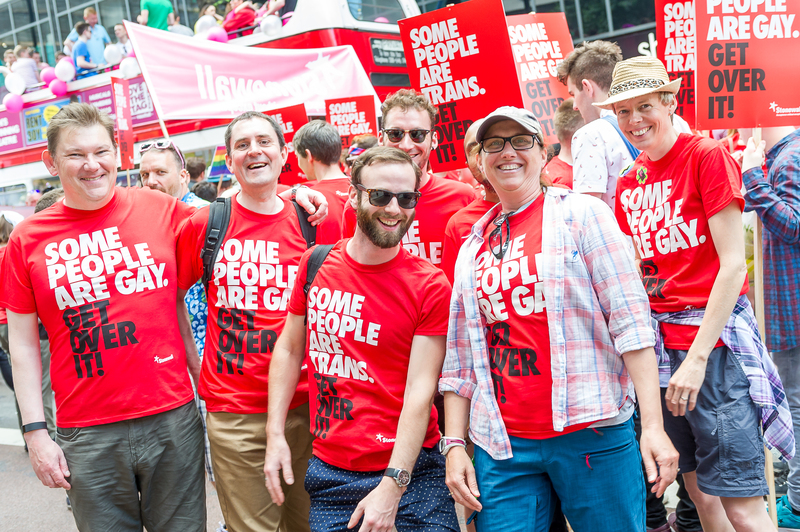 Nominate Stonewall as your organisation's chosen Charity of the Year. Help raise awareness of our work throughout your offices during key dates in the LGBT calendar, e.g. LGBT History Month in February or Anti-Bullying Week in November. Whatever you’ve got planned we’re here to support you every step of the way. We can offer advice and guidance on your fundraising plans and supply fundraising materials such as posters, stickers and collection tins. Most importantly of all, we’ll provide bags of enthusiasm and encouragement along the way. Get in touch with our Community Fundraising team at community@stonewall.org.uk or call 020 7593 3477.